What is a research paper? How should you write this type of academic assignment? Is there any other way to get a premium-quality content and save time? You will find answers to those questions here at SmartEssay.org. We are the ultimate research paper writing service with a pool of experts who are specialized in this particular type of assignment. In other words, research papers are among our main specialization as well as PhD dissertations, coursework, thesis statement, essay papers and other types of content. If you are still looking for a professional to “write my research paper”, our website is certainly the right place to visit and here is why. How Shall I Ask For Research Paper Help? 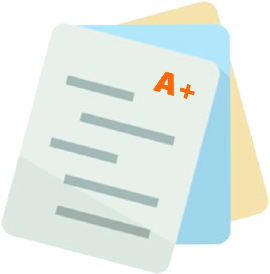 That is all you need to do in case you require academic assistance with your research paper or any other type of academic assignment. We have a team of experienced writers who can handle any topic and cover any academic area or discipline. Affordable Prices – we do know how hard it is for students to cope with their financial needs. We are not aimed at taking money from you. Our mission is to lend you a hand during the tough academic process. Here at SmartEssay.org, you will find some reasonable rates per page depending on the type of paper and its level. Our company takes pride in nearly 100% of satisfied customers. Most of them become our returning clients. You can join the community and live your students’ life the fullest way.